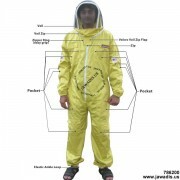 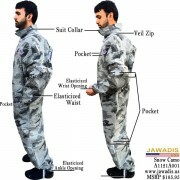 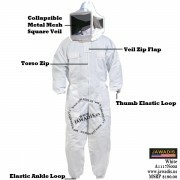 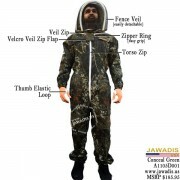 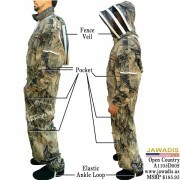 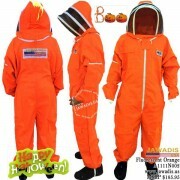 All Jawadis bee suits feature comfortable and durable 100 cotton or 50/50 cotton/poly fabric beekeepering suit with elastic waist in addition to wrist and leg openings. 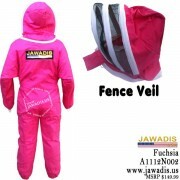 Additional features are a fence style veil which provides the needed ventilation. 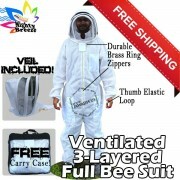 All the materials are superior quality and fit together to aid in preventing possible bee entry into the beepeepers suit for adults, and children. 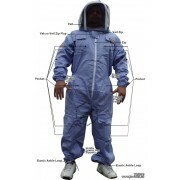 These professional bee suits are ideal for homeowners, gardeners, pest control professionals who need to treat areas infested with stinging insects and spiders. 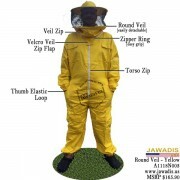 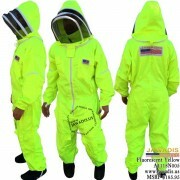 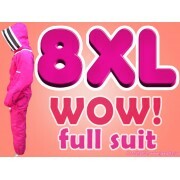 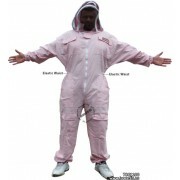 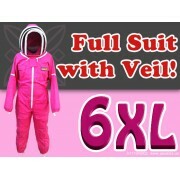 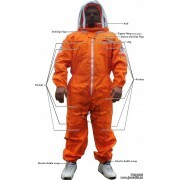 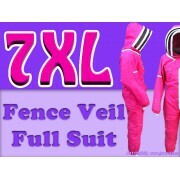 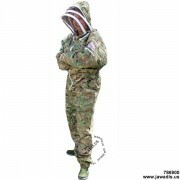 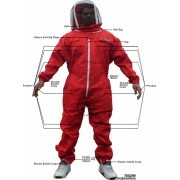 Whether you have hornets in the garage, yellow jackets in the front yard or spiders in the attic these bee suit will provide added protection from potential stings or bites from the pest insects. 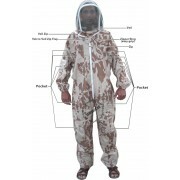 For beginners, a white bee suit is suggested as the bees react least to this color.